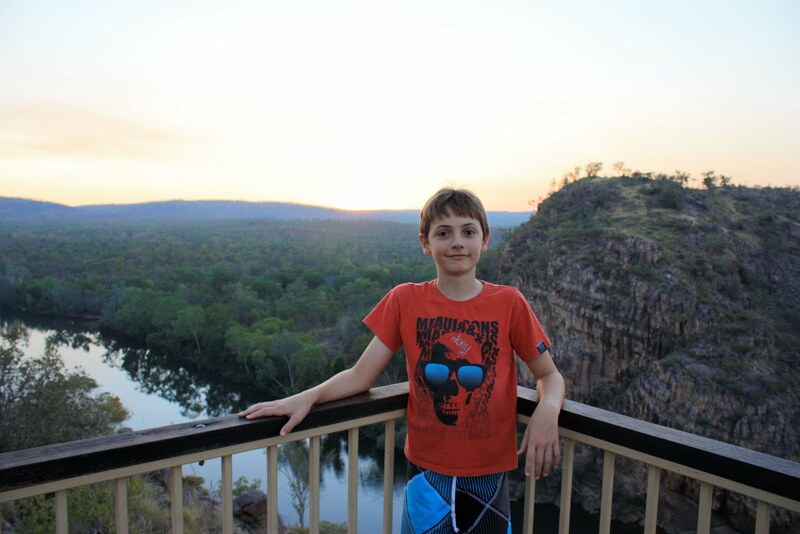 Joey, just before sunset at Katherine Gorge lookout. 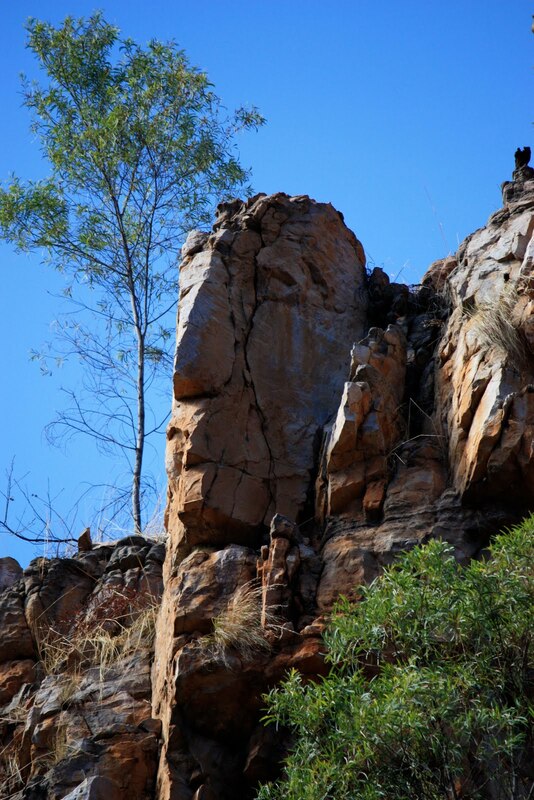 The whole region is filled with aboriginal art and has significance to the local indigenous population. There was a grumpy old man watching the boat drift past. Stoney faced - like some people!! The bloke running the tour was stretching the imagination with what he said some of the rocks looked like - all added to a nice day. Katherine Gorge from the boat cruise vantage point. Hard to capture this on camera. Very scenic and beautiful area. 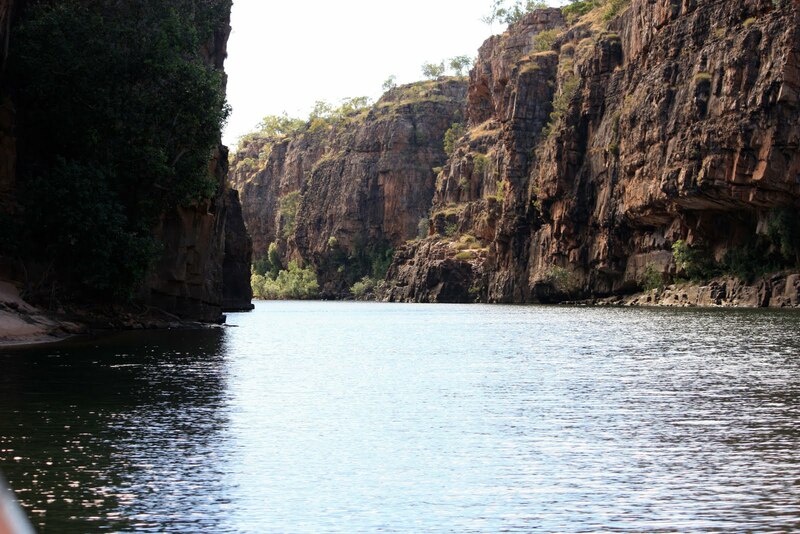 Outside of Katherine is the National Park 'Nitmaluk' (formerly Katherine Gorge NP). 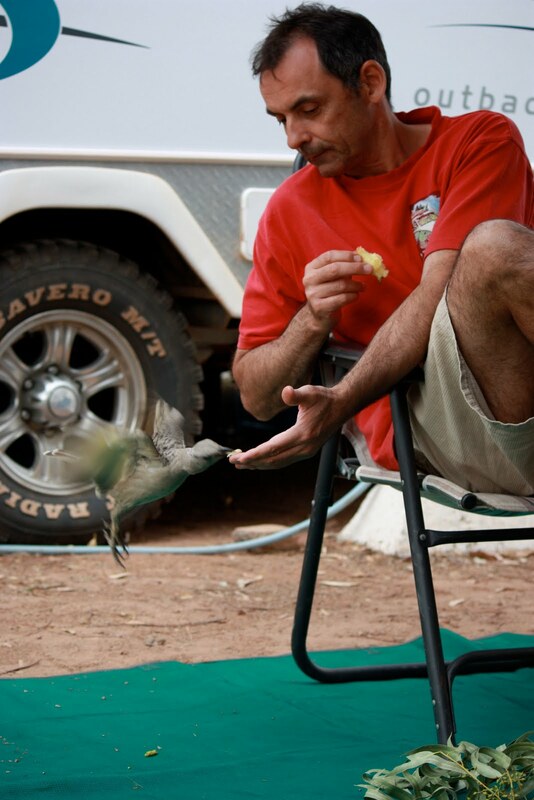 The bird life is friendly as shown here. 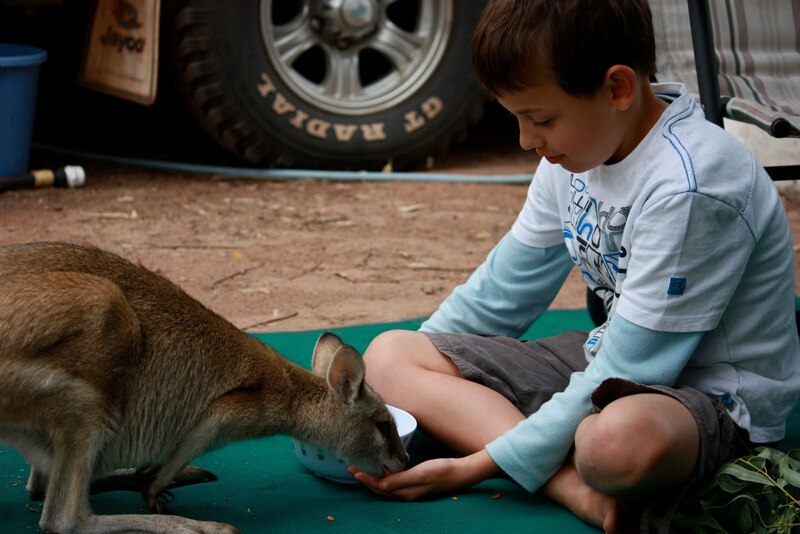 We hand fed the birds and Sam fed the kangaroos - both naughty things to do as we found out later!